Your cat disturbs you while working by staying in your legs? 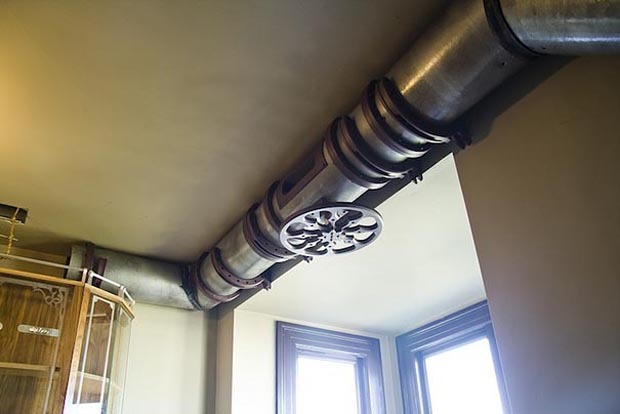 So why not come up with some practical solution for this? 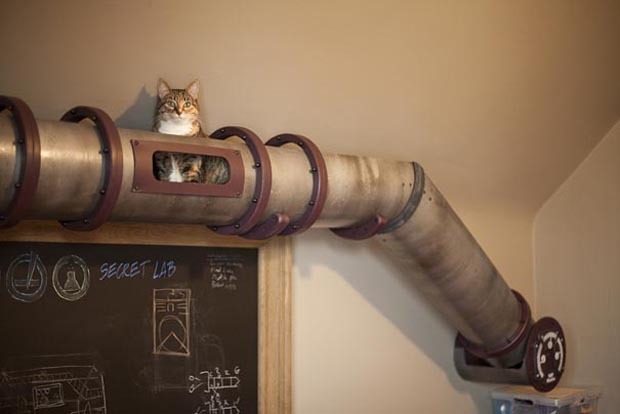 Do not hesitate and get inspired by this strange invention of an American company: The Cat Tube! 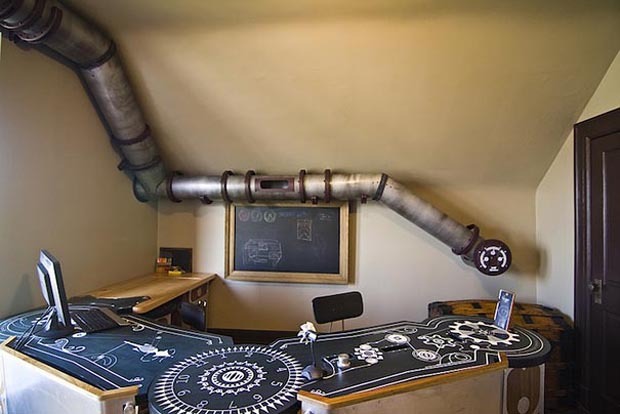 The firm Because We Can , led by architect Jeffrey McGrew and his wife, interior designer Jillian Northrup , had the mission to rearrange a room to make it a good place to work with concentration. Surely, it is always very difficult to focus if you have a cat at home! 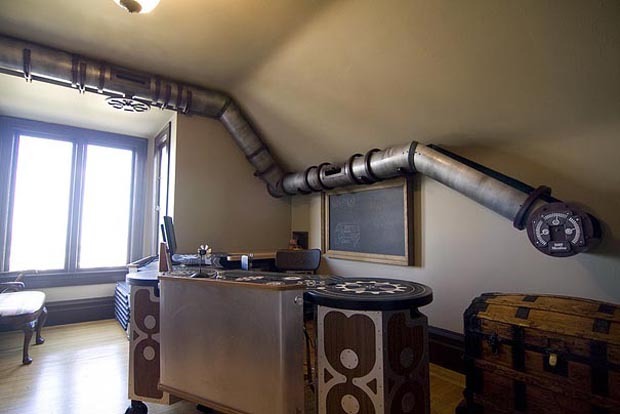 The company transformed the room into an office for mad scientist eating and sleeping the research. 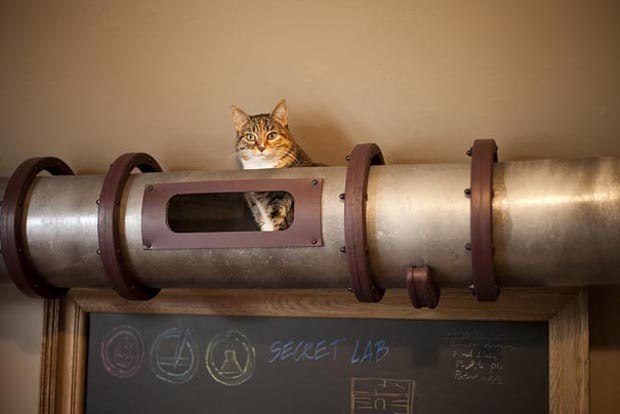 Amid this research atmosphere, the firm had the ingenious idea to use a plumbing pipe as a means for locomotion of cat: the Cat Tube . 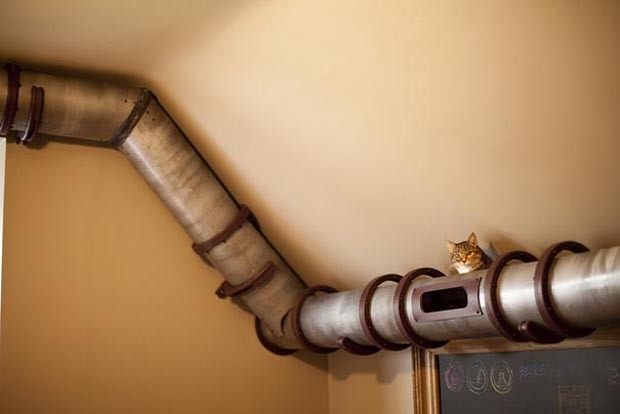 With this handy pipe, the cat can walk anywhere in the room without disturbing the owner. 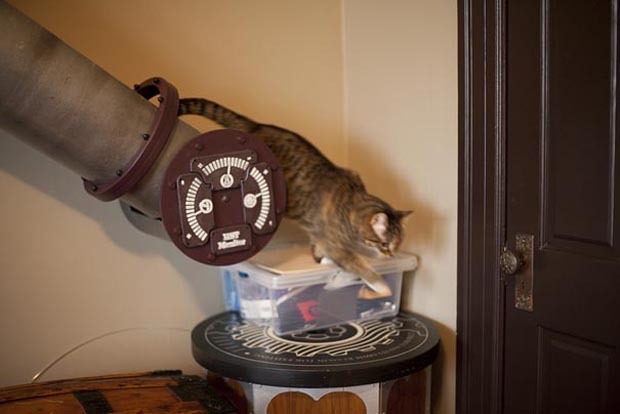 According to Jillian Northrup this invention would be “the first step for better mobility of cats across the room”. 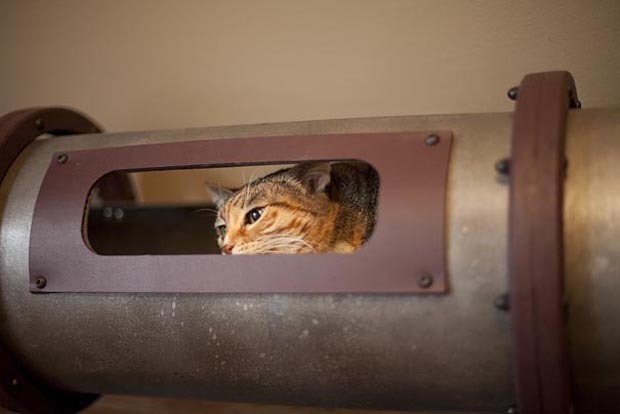 Would you like to have this kind of facility for your pet? Attention Humans! 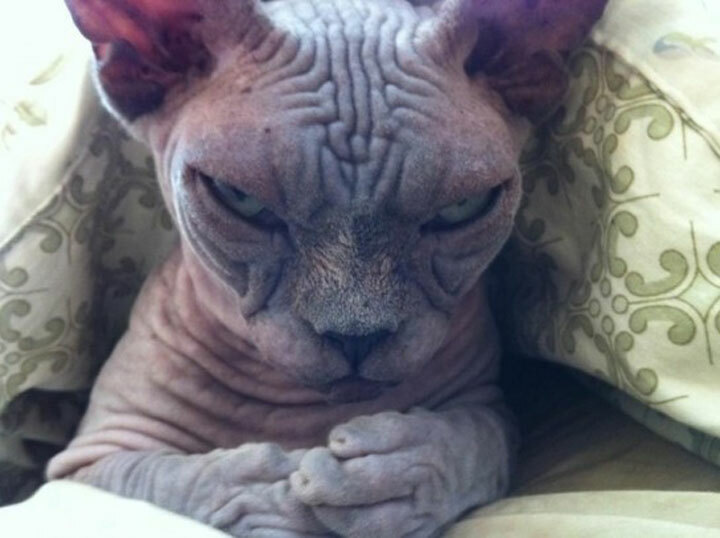 Cats Are Conspiring To Dominate The World!